with origins in the West African islands São Tomé e Príncipe, Kilomba was born in Lisbon where she studied clinical psychology and psychoanalysis. There she worked in the psychiatry with war survivors and developed several projects in the fields of memory and trauma. Early on she started publishing her literary work in the form of essays, prose and poetry approaching remembered stories of slavery, colonialism and everyday racism. 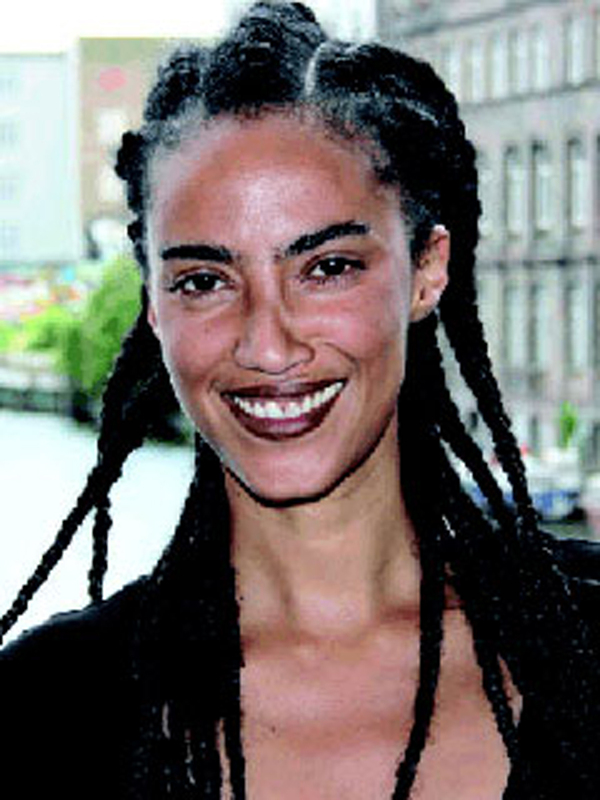 Among others, she is a co-editor of the book Mythen, Masken and Subjekte: Kritische Weißseinforschung in Deutschland (Unrast 2005) and the author of the book Plantation Memories: Episodes of Everyday Racism (Unrast 2008). Her work has been described as a combination of academic writing and lyrical narrative. She has been working on several theatre projects. She holds a distinguished doctorate from the Freie Universität Berlin and has been lecturing in the frame of postcolonial studies on decolonization, psychoanalysis and gender at the Humboldt Universität zu Berlin, department of gender studies; Freie Universität Berlin, department of political sciences; and at the University of Ghana, Legon/Accra, department of African studies and Performing Arts. Kalunga tells the story of a woman who unconsciously searches for advice in a Mãe de Santo – an elder Brazilian Candomblé priestess. In this way she is introduced to the old religion of the Orishas, a religion of African origin brought from West Africa by enslaved Africans to the other side of the Ocean, during the Transatlantic Slave Trade. In a ritual, Kalunga meets the ancestral spirit of Rei Amador – the historical warrior and liberator of the enslaved people in São Tomé – who comes not only to tell his version of a very disregarded history, but also to involved Kalunga in a platonic relationship with the past. Kalunga, whose name in Kimbundo means Ocean, sees herself caught between fantasy and reality; past and present; continent and diaspora.The ‘slave ships’ have returned, now in opposite directions: from West to East, from South to North. This is the story of two women of two different African diasporas who meet for the first time in a third space: Europe. This re-union however is not a neutral one, it evokes the middle passage of the Slave Trade and recalls Europe as a space of both ‘terror’ and possibility. This is a book about loss, encounter and the Orishas.